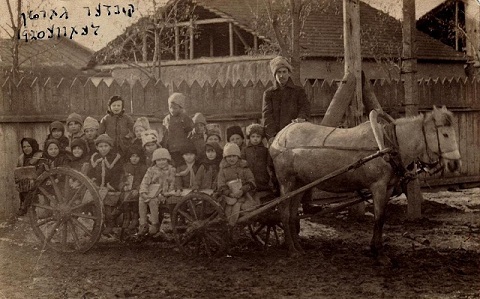 Children bundled up in winter clothing pose on a horse-drawn cart with a man near a wooden fence (Leova, 1920). (Written in Yiddish:) “This is how Shaye used to bring the children to kindergarten. Brief summaries of the most outstanding IAJGS 2012 Conference programs and lectures. 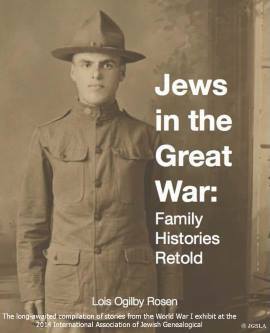 In 2006 Joel Waters embarked on a three year assignment at the U.S. Embassy in Chisinau, Moldova where in his spare time he took the opportunity to research his paternal grandfather’s Bessarabian family, thought to have perished in the Holocaust. After two years of digging he discovered not only that much of his grandfather’s family had survived, but also that his grandfather’s youngest brother was still alive, and residing in Bat Yam, Israel, a largely Russian immigrant community just south of Tel Aviv. After finding the family he was searching for, his research did not end. 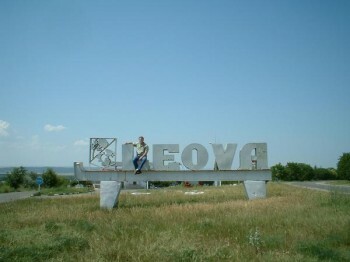 Joel refocused his energies toward investigating the history of his grandfather’s shtetl, Leova, Moldova, and the fate of the entire Jewish community there. His efforts have yielded remarkable findings and unexpected surprises. Joel will share his discoveries, his unique shtetl research techniques, and describe the importance of shtetl research in your genealogical quest. Join regional special interest group experts at SIG tables, complete with maps, records and online access to databases. The following areas will be represented: Hungary, Latvia, Lithuania, Galicia, Poland, Ukraine, Germany, Austria-Czech, and Bessarabia/Moldova. Bring your family trees, documents, and questions! Speaker: Joel Waters served as a Peace Corps Volunteer in Lithuania from 1993-1995, stationed in a former shtetl, Ukmerge (Vilkomir) where he became interested in researching Jewish heritage. In 2002 he joined the U.S. State Department as a member of the U.S. 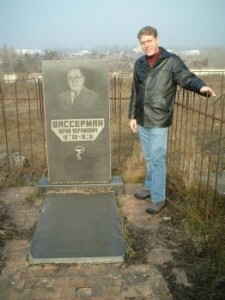 Diplomatic Corps, and in 2006, while on assignment at the U.S. Embassy in Moldova, he embarked on a genealogical quest that lead him to his ancestral Besserabian town of Leova and the eventual discovery of living descendants of his paternal line, the Wassermans, who were living in Bat Yam, Israel. Meeting his great uncle and many cousins was such a moving experience for Joel that he petitioned the State Department to reassign him to the U.S. Embassy in Tel Aviv. For the nearly three years now he has been working at the U.S. Embassy in Tel Aviv and spends nearly every Shabbat in Bat Yam with his recently discovered family. Joel Waters holds an MBA degree in Marketing and Strategic Human Resource Management from University of Southern California’s Marshall School of Business, as well as a Bachelor of Science degree in Management of Information Systems from Boston University. JGSLA members free. Guests $5.00. Refreshments will be served.